By Joseph Gibbs, Sussex Academic Press Portland, OR (2012). As Joseph Gibbs notes in his introduction to On the Account: Piracy and the Americas, 1766 – 1835, “Piracy in the Age of Sail continues to fascinate modern audiences (ix).” The image of swashbuckling buccaneers readily captivates the imagination of all ages; whether that be in the form of Jim Hawkins and Long John Silver in Robert Louis Stevenson’s Treasure Island, or one of Walt Disney’s many current franchises that flies the black flag (from Jake and the Never Land Pirates to Jack Sparrow and the Pirates of the Caribbean). Though in all of these forms piracy invokes the image of the Golden Age during the early eighteenth century when names like Blackbeard, “Black Sam” Bellamy, and Bartholomew Roberts instilled fear in the maritime community. 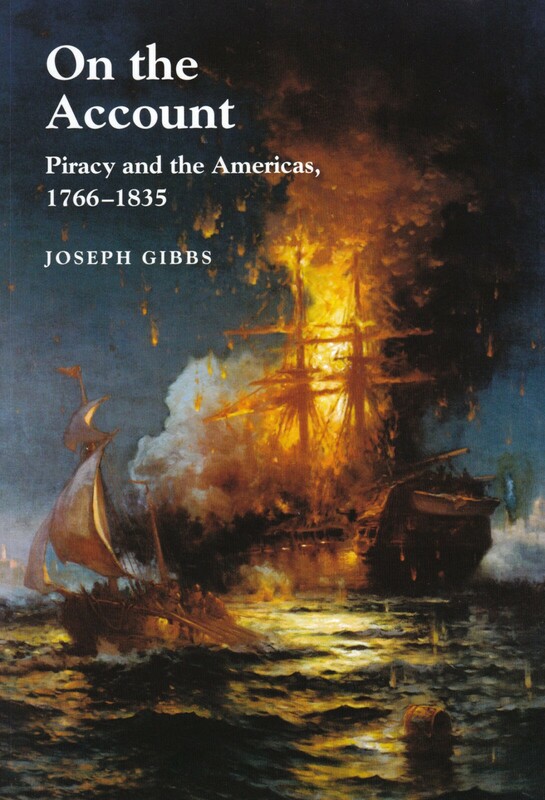 In On the Account, Gibbs seeks to recount the age of piracy of the late eighteenth and early nineteenth centuries when the young United States was forced to deal with consequences of crime on the high seas from the late Colonial era through to the Early Republic. The ten chapters each focus on a specific period in United States history, and a particular form of piracy. 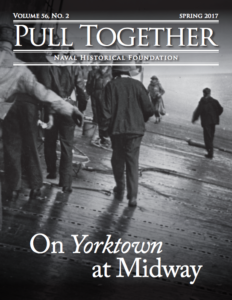 Half of the chapters describe mutinies on merchant vessels and their subsequent trials from 1766 to 1830. These include the mutiny and trial cases of the Polly (1766), St. Louis (1778), Eliza (1799), George Washington (1812), and Vineyard (1830). The case of the Vineyard is familiar territory for the Gibb as his previous book on piracy was Dead Men Tell No Tales (2007) which focused on this case, Charles Gibbs, and piracy in the 1830s. While most individuals would most likely not list mutiny alone among grounds for the charge of piracy, the laws of the time saw the two as related crimes. 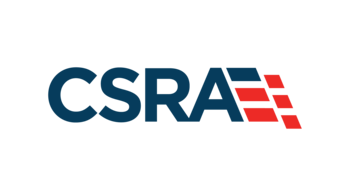 The remaining chapters focus on more familiar areas such as the Barbary Coast Pirates (1793 – 1804), privateers and pirates in the Gulf of Mexico and Caribbean (1814 – 1821), the U.S. Navy’s efforts to eradicate piracy in that region (1821 – 1825), and the capture of the Mexican (1832). And it is in these chapters where we see the U.S. Navy’s encounters with pirates both overseas and close to home. Yet, On the Account is not your standard pirate history book. Gibbs goal is to present the reader with primary documents to recount the events of piracy, and to that end he makes use of newspaper accounts and trial transcripts of the period. As he states, “Modern readers will hopefully get a sense of what their late 18th and early 19th century counterparts experienced in the densely packed columns of early type…. (xii).” Newspapers from New York, Philadelphia, Boston, and Charleston as well as Nile’s Weekly Register are the principle source for each chapter’s contents. Gibbs has done a wonderful job editing each piece for consistency (explaining his editing style in the introduction), and providing ample footnotes to expand on individuals, locations, and terminology mentioned within the text. Each chapter includes a brief introduction which sets the stage for the case and time period. In addition, the bibliography provides a wonderful resource on both classic and current resources in pirate historiography. 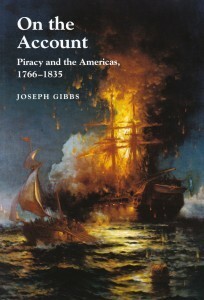 However, the one thing that Gibbs does not provide anywhere in the book is context or an argument relating to nature of piracy and how it affected or involved the United States, thus leaving the reader to draw their own conclusions. To that end it would seem that the work is best geared towards those who already familiar with the history of piracy or maritime history for this period, rather than the casual reader. On the Account is a wonderful supplement to the study of piracy in the American maritime community of the Early Republic, and is a valuable addition to the library of any student of the topic, though anyone looking to start their study of the topic would be better served by starting with a number of other works before picking up this one. J.J. Ahern is an archivist with the University of Pennsylvania.